ST JOSEPH’S Secondary School beat Yat Sen Secondary School 19-11 in the Under 17 girls pool games of the 2018 Fiji Secondary School Basketball competition in Suva today. Estelle Kainamoli of SJSS was the top basket scorer of the match. Other baskets from SJSS were by Kaelyn Pickering, Camari Ravai and Karaliani Tatukivei. RATU Kadavulevu School is one of the new schools making its debut in the 2018 Fiji Secondary Schools Basketball Championship at the FMF Gymnasium at Laucala Bay, Suva. The school fielded three teams to compete in the three-day championship. Under-15 team manager Asenaca Raloka said the idea of forming a basketball team for the school came from the school principal. THE 2018 Fiji Secondary School Basketball Championship began today at the FMF Gymnasium in Laucala Bay, Suva. Schools from the Central and Western divisions including Levuka turned out in numbers to compete in the three day tournament. Basketball Fiji Chief operating officer, Laisiasa Puamau said there had been a positive turn out from all the teams as well as supporters. BASKETBALL Fiji in partnership with Damodar Group will host a first ever Basketball event at the Damodar City Car park from August 20 -24, at the Damodar City Car park at Laucala Bay, Suva. This was announced at today’s (August 14) signing of the Memorandum of Understanding between Basketball Fiji and Damodar Group of companies. Source: The Fiji Times Newspaper on Wed 15 August 2018. YAT Sen Secondary School and Suva Grammar School dominated the Suva Secondary School Basketball competition today. The Flagstaff-based school defeated neighbours Marist Brothers High School 15- 8 in the Under 15 boys category while Suva Grammar School defeated Yat Sen 13-8 in the girls category. Source: The Fiji Times Newspaper on Saturday 21st April 2018. THE Suva Secondary Schools Basketball Association will hold the semifinals and finals next week after the pool matches were completed at the Yat Sen Secondary School hall in Suva today. Association vice-president Navitalai Naivalu said the semifinal fixtures would be released later in the week. Source: The Fiji Times Newspaper on Friday 14th April 2018. RAIWAQA Whites were crowned the boys champion while Raiwaqa Iconics were the girl’s winners in the under-16 challenge during the 3×3 basketball challenge last weekend. It was held at the Yat Sen High School gymnasium on Saturday. For the U14 category Raiwaqa Sparks took home the girls title while team DIABLOs took the boys division. Source: The Fiji Times Newspaper on Tuesday 8th May 2018. BASKETBALL Fiji will be sending two teams for the National U15 Teams to compete in the FIBA in Oceania U15 Championship in December 2018. The teams consist of a boys and girls team, and for the time being, there is a 30-member squad on training. The Source: Fiji Times Newspaper on Monday 7th May 2018. THE USP Sonic basketball men’s team is on fire winning their first match against FNU Knights 10-9 during the National Basketball championship at the FMF Gymnasium in Suva today. Source The Fiji Times Newspaper on Saturday 14th April 2018. IT’S been quite a leap to Super Rugby for former Fijian basketball international Pita Gus Sowakula. Sowakula was the latest Chiefs debutant called up to their squad as injury cover and he was thrust into action 66 minutes into their 27-22 victory over the Highlanders in Hamilton last Friday, March 30. Source: Fiji Times Newspaper on Sunday 8th April 2018. RAIWAQA Basketball Association is focusing more on getting their children involved in the sport. 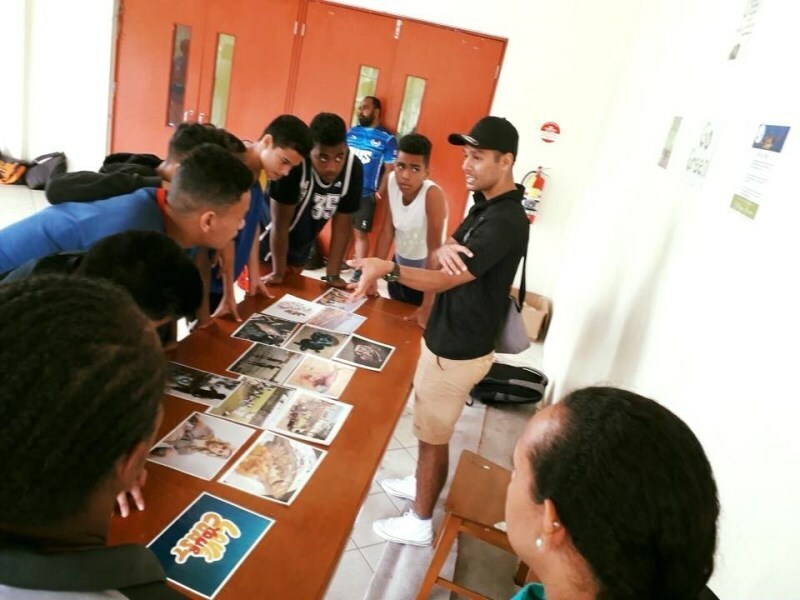 President Ruben Colata said they were the future Raiwaqa and national reps. “Every Saturday morning, before the big competition, we always have time for our children to go through clinics and teach them some basic skills about basketball,” he said. Source: The Fiji Times Newspaper on Sun 1 April 2018. THE Crossroad basketball team have fielded a young team to participate in the Raiwaqa Basketball Association interlane competition. Team captain Josaia Qalotaki said the team was part of a development squad under the Boston club. Source: The Fiji Times Newspaper on Saturday 31st March 2018. The Fijian Basketball Under-18 team left the country on Wednesday to compete in the 3×3 basketball competition in Bali, Indonesia. The tournament starts today and finishes on next Tuesday. Basketball Fiji development officer Lai Puamau said the team were selected following the national U18 mixed tournament. Source: The Fiji Sun Newspaper on Friday 7th September 2018. Damodar City will partner with Basketball Fiji in the Under-18 competition which starts on Monday. There would also be a basketball clinic for children. Damodar Group chief executive officer Div Damodar said the company is grateful to be associated with Basketball Fiji. “We are very grateful that Basketball Fiji will be hosting the 3×3 competition,” Damodar said. Source: The Fiji Sun Newspaper. 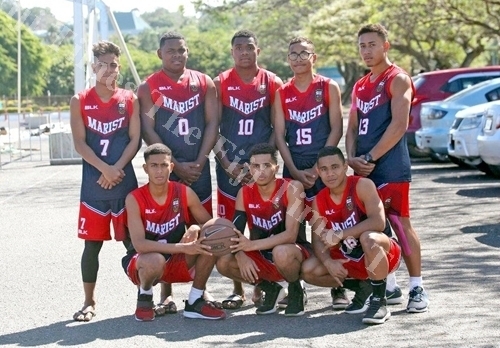 The Fiji Secondary Schools Basketball Championship saw Yat Sen Secondary School, Saint John’s College Cawaci and Marist Brothers High School dominate the Un­der-19 boy’s grade. In the girl’s grade, defending champions, Suva Grammar School maintained their form after thrashing Lautoka’s Tilak High School 29-8. Source: Fiji Sun Newspaper on 21st August 2018. The Crossroads women’s basketball team are determined to win the Rai­waqa Inter lane Basketball Easter competition. The Peniasi Kainamoli coached- side are currently leading the points table after defeating Browning, St Pius and Davui at Ed’s Court in Raiwaqa yesterday. Kainamoli said after returning from a local tournament his side had to regroup again to prepare for the Easter competition. The Raiwaqa Inter-lane Basketball Easter Competition continues at Ed’s Court yesterday. Eleven teams are vying for a spot to play in the National Basketball Championship.Tournament organiser Roden Co­lata said the tournament was very competitive and it was good to see young players participating. Source: The Fiji Sun Newspaper on 31st March 2018. Raiwaqa Basketball Championship favorites Grantham and Spoward continue their fine performance at the Easter Basketball competition currently underway at the Raiwaqa Basketball Court. Last week’s Men’s runner’s up Grantham won their first pool game as they defeated Jazz 41-24 this morning. Source Fiji Village.com on Saturday 31st March 2018. Team Boston and Team Dynamic will be aiming to retain their title in the boys and girls division of the 2018 Digicel Fiji National Basketball Championships is currently underway at the FMF and USP gymnasium. Looking at the games today in the men’s division, USP Islander thrashed Hornets 72-21, FNU beat USP Sonics 41-28. Source Fijivillage.com on Saturday 14 April 2018.
commissioning of BF financial software. Basketball Fiji has started the year off right! With some FIBA financial training with Adam Seamons from Australia. The 13th might be unlucky for some, but not Fiji! Fiji remains resilient during day two of Pacific Mini Games. Basketball Fiji's first ever 3x3 National Teams! Fiji Times article - Tuesday, December 5, 2017. On International Volunteer Day, Basketball Fiji says thanks. Basketball Fiji celebrates International Day for Persons with Disabilities. Basketball Fiji said no to violence against women over the weekend by holding a 3x3 basketball competition for men and women on International Day for Elimination of Violence Against Women. 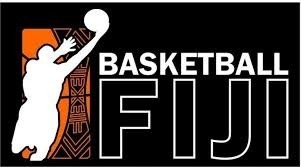 Basketball Fiji invites applications for the position of Team Manager to join its team to assist in the preparation and participation of our Under 15 Boy’s and Girls’ Basketball National teams ahead of the FIBA U15 Oceania Championships in Papua New Guinea. Basketball Fiji invites applications for the position of Head Coach to join its team and lead in molding our future national team players and as a part of the Under 15 Boy’s or Girl’s National Basketball Team ahead of the FIBA 2018 U15 Oceania Championships in Papua New Guinea. Basketball Fiji's own Letava Whippy speaks to Mereani Nawadra on FemTALK89FM's Morning Waves program. Last week was a busy time for Basketball Fiji! Through the Hoops for Health (H4H) program, Special Schools program and an early celebration of World Children’s Day Basketball Fiji ran basketball skills clinics for over 1,100 children in seven different schools. The National Women's team have qualified for the 2019 Pacific Games after bringing home the silver at the Melanesia Cup. The National Men's team have qualified for the Samoa 2019 Pacific Games and taken home in Bronze at the Melanesian Cup. Go Fiji! The men's team will battle it out today with Solomon Islands as they fight for their qualification to the 2019 Pacific Games. Fiji and Papua New Guinea stake their claim on Day 2 of the FIBA Melanesia Basketball Cup 2017 with crucial wins. Action is heating up here in Papua New Guinea as Fiji and Solomon Islands are now tied in second place. Can Whippy help Fiji repeat success of 2015 Pacific Games? The last time Letava Whippy in Papua New Guinea, she brought home a 2015 Pacific Games gold medal. FIJI - The Fiji National Men’s coach, Frank Saketa believes his players are looking strong and capable of taking home the first-ever Melanesia Cup. Basketball Fiji has introduced the 3x3 Olympic format at the 2017 Fiji Games in the lead up to the Pacific Mini Games and 2020 Olympic Games. Fiji Times. BENGALURU (FIBA Women’s Asia Cup 2017 - Division B) – Team Fiji has rounded out their Bengaluru campaign by taking home 6th place in the tournament. With this being the first ever time competition in the event it is a great result which can be built upon for the future. Singapore pushed out to an early lead and Fiji did everything they could to fight back but eventually fell 65-80. BENGALURU (FIBA Women’s Asia Cup 2017 - Division B) – Team Fiji faced up against Sri Lanka in their 4th game of this year’s event. Mili Koyamainavure has been featuring heavily in Fiji’s offense and would be relied upon again tonight for Fiji to qualify for the 5th place playoff game. BENGALURU (FIBA Women’s Asia Cup 2017 - Division B) – Fiji’s quarter final matchup saw them up against host nation India. Boasting an undefeated record, didn’t Fiji from taking it right to India early. The first quarter was tightly contested but India eventually began to push out the lead. BENGALURU (FIBA Women’s Asia Cup 2017 - Division B) – Fiji continue to get better and better each game in Bangalore, their latest matchup against Kazakhstan was no different. BENGALURU (FIBA Women’s Asia Cup 2017 - Division B) – For the first time in history Fiji is competing in a FIBA Asia event. The Fiji Women’s national basketball team faced Singapore in the first game of the FIBA Women’s Asia Cup 2017 – Division B. Basketball Fiji invites applications for the position of Team Managers to join its volunteer management team to assist in the preparation and participation of our National Men’s and Women’s teams ahead of the 2017 Melanesian Games and the 2017 World Cup Qualifiers Round 1 in Asia. 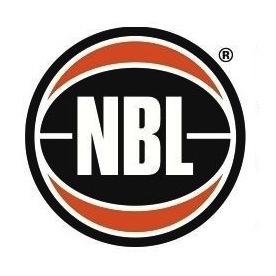 Basketball Fiji invites applications for the position of National Basketball Development Assistant (NBDA) to join its Operational Team. The main objective for the role is to ensure that the NBDA achieves the objectives and deliverables that are set out by both Basketball Fiji and the International Basketball Association (FIBA) in Oceania. 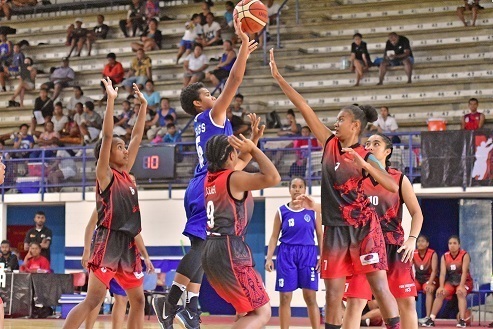 Losalini Katia: Winning a gold medal in Fiji is "unreal"
SUVA (FIBA U18 Oceania Championship) – Fiji secured their first win of the tournament on day two of competition, beating Tahiti 56-29. SUVA (FIBA U18 Oceania Championships) – The host nation Fiji registered their first victory on day two of competition against a struggling Tahiti. The Fijians led for the majority of the game, which at one point blew out to a 25 point lead. The final score reading 65-49.